Wesley Snipes is gearing up for a small resurgence, with a lead role in Gallowwalkers, followed by an appearance in The Expendables 3. This action icon of the early Nineties is overdue for a comeback, and is only now reemerging from his taxes woes, which leveled him at the knees. Having paid his dues to society in real-life, the rejuvenated actor is taking on the lead in Gallowwalkers, in which he stars as a lone gunman who must deal with the ghosts of his victims. Born of a nun who sacrificed herself to save Aman as an infant, the young boy is cursed by God to be haunted by all those taken by his hand. When he seeks revenge on a ruthless gang responsible for the murder of his one true love, he must then battle these reprobates who return to Earth more powerful than ever, forming an army of undead warriors that are mercilessly unstoppable. The first poster has arrived from VMI Worldwide, which will be using the design to entice European and international buyers. The film does not have a release date in the states, but we will likely see it towards the end of the year. 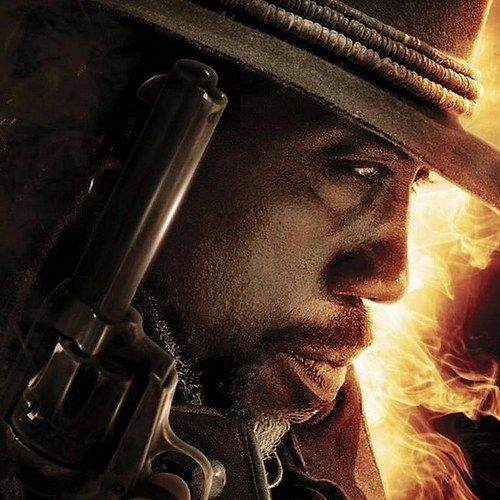 Check out Wesley Snipes as he returns a little greyer, and a little cooler, in his black leather duster brandishing a six shooter. It's a Western ghost movie. "Live by the gun. Die by the Gun." You can't get more exciting than that.